Congratulations on your new baby! As a new parent, we know you have enough on your mind without stressing about how your dog will react to the newest member of your family. That’s why we created the innovative Cribs and Canines training program, a unique dog training program that specifically helps your dog adjust to having a new baby in the home. Before your baby is even born, our professionally certified dog trainer will work to refresh your dog’s manners and obedience skills and help eliminate problems, such as jumping, nipping, snatching, destructive habits, or aggressive play that could cause harm to pregnant mom or baby. 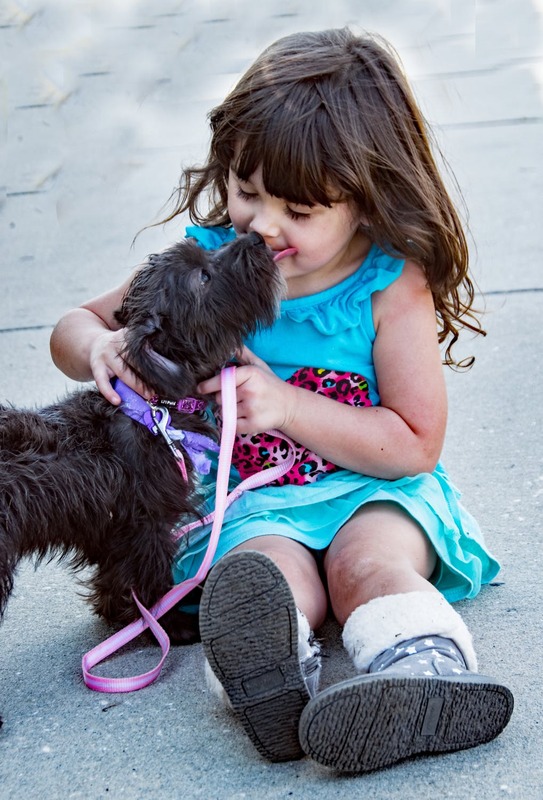 We also work to make the dog feel comfortable and behave well in baby-specific situations, such as heeling and walking nicely next to a stroller, being gentle with baby, leaving the baby’s toys alone (and learning to be nice when baby wants their toys! ), and learning to be patient while your attention is focused on the baby. We also provide you with some tips and tricks to ensure you maintain a calm, consistent environment for your dog even during those first few weeks. Not only does the Cribs and Canines dog training program keep your baby safe and help eliminate stress on your end, it also helps your dog know what to expect so they don’t experience any of the anxiety and stress that often plagues dogs when a new baby is brought home. Our Cribs and Canines program is offered to expecting, new, and current parents who struggle with their dog’s behavior toward their children. We want every member of your growing family—two-and four-legged alike—to feel safe and happy in their home! Call our office at 510.646.9657 or send us an email to get started with your initial consultation.